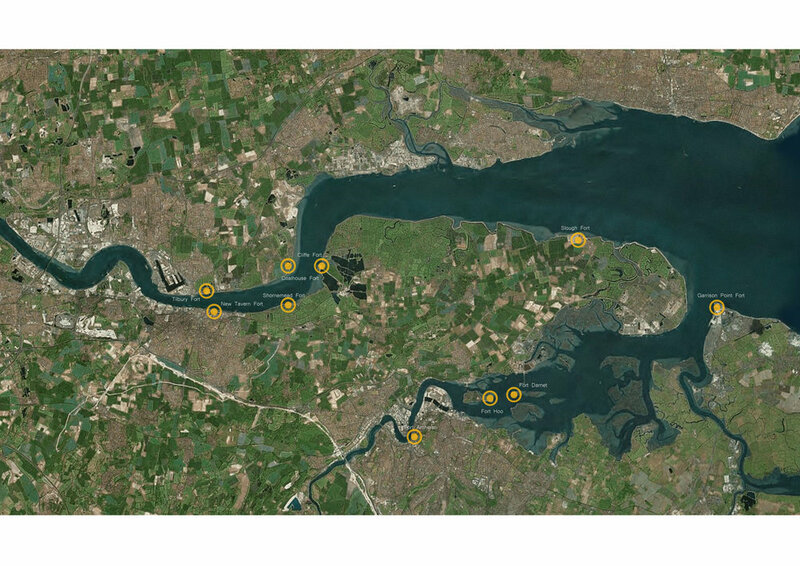 The Thames estuary river-scape is characterised by the strategic location of a strong defensive line of forts, which provide an interesting precedent for historic built forms within the marshland landscapes. Directly across the River from Northfleet lays Tilbury Fort, which is one of the finest surviving 17th Century forts in England. The earliest version of the fort, comprising a small blockhouse with artillery covering the river, was constructed by King Henry VIII to protect London against potential attack from France. Similarly there is a block-house opposite in Gravesend, forming a strategic defensive ‘gate’ across the river. King Charles II’s Chief Engineer, a Dutchman called Sir Bernard de Gomme, was commissioned to develop Tilbury Fort’s defences further. The result was a large, five-sided, star-shaped fort with four angular bastions, revetted in brick, with an outer curtain of defences, including two moats and a redoubt and two new gatehouses to defend the entrance from the north. The interior of the fort was raised up above the level of the marshes to prevent flooding, and barracks and other buildings were constructed inside. The geometric formality of these forts bounded by water, could become an urban precedent for new settlements inserted into open or low lying land. Cliffe Fort, which lies to the east of Gravesend, illustrates the strong geometry of the fort in the marshland landscape on the Thames.